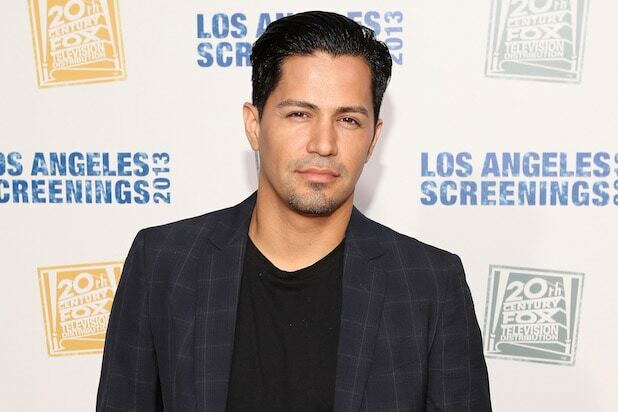 “Friday Night Lights” star Jay Hernandez is in negotiations to join the cast of Warner Bros.’ comic book adaptation “Suicide Squad,” multiple individuals with knowledge of the project have told TheWrap. Representatives for Warner Bros. and Hernandez did not immediately respond to requests for comment. David Ayer is directing “Suicide Squad,” which is set to star Will Smith as Deadshot, Joel Kinnaman as Rick Flagg, Margot Robbie as Harley Quinn, Jai Courtney as Captain Boomerang, Cara Delevingne as Enchantress and Jared Leto as The Joker. Meanwhile, Viola Davis is in negotiations to play Amanda Waller and Jesse Eisenberg is in talks to reprise his upcoming role as Lex Luthor. Hernandez’s role is being kept under wraps, but it’s possible that he could be playing an inmate on the same cell block as The Joker, though there are several other open roles at this time. “Suicide Squad” is being produced by Charles Roven and Richard Suckle, while Zack Snyder, Deborah Snyder, Colin Wilson and Geoff Johns are serving as executive producers. Production starts in April, and Warner Bros. will release “Suicide Squad” on Aug. 5, 2016. Hernandez starred in Peter Berg’s feature adaptation of “Friday Night Lights,” and his feature credits also include “Crazy/Beautiful,” “Hostel” and “World Trade Center.” He recently co-starred on Fox’s “Gang Related” and will soon be seen in Boaz Yakin’s “Max,” which Warner Bros. is slated to release in August. Hernandez is represented by Paradigm Talent Agency, Alchemy Entertainment and attorney Michael Fuller.